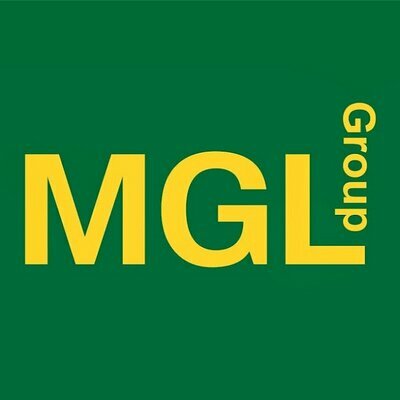 MGL Group - Bring it On! Good quality career engagement is invaluable and the students can engage with real people, doing a real job, all wrapped up in an exciting day out! Children need to be exposed to the huge variety of career options available to them, and this exhibition provides a great opportunity for this. Bring It On will enable them to be exited and inspired by various areas of engineering, allowing them to 'touch and feel' potential career options for themselves and perhaps take a closer look at training and a career in an arena that they know very little about. The MGL Group has showcased its commitment to the next generation by joining The 5% Club, an industry led initiative focused on driving momentum into the recruitment of apprentices, graduates and sponsored students. We currently have 450 employees, 30 of which are on structured apprenticeships, including, Quantity Surveying, Joinery, Construction Plant, Demolition Plant, Asphalt Technical, Business Admin, Accountancy, Groundworkers, Site Engineer, Highways Maintenance and CIPS. We are very proud of our employees, especially our 30 Apprentices. As a business, we are keen to play our part in addressing youth unemployment and the skills shortage. The business is only as strong as its workforce, and we are delighted to be bridging the skills gap by supporting and encouraging our young people to train and forge ahead with a great career in the civil engineering and construction industry. Good quality career engagement is invaluable, and the students can engage with real people, doing a real job, all wrapped up in an exciting day out!" It is vital that we provide students of all ages with opportunities for meaningful engagement with industry so that they can be inspired and then make informed decisions around the wide variety of career options open to them. We have an aging workforce in the construction and civil engineering sector, so we are working hard to recruit youngsters into this ever-expanding industry. Children need to be exposed to a huge variety of career options available to them, and this exhibition provides a great opportunity for this. Bring I tOn will enable them to be excited and inspired by various areas of engineering, allowing them to 'touch and feel' potential career options for themselves and perhaps take a closer look at trainng and a career in an arena that they know very little about. The MGL Group has showcased its commitment to the next generation by joining The 5% Club, an industry-led initiative focussed on driving momentum into the recruitment of apprentices, graduates, and sponsored students. We currently have 450 employees, 30 of which are on structured apprenticeships, including, Quantity Surveying, Joinery, Construction Plant, Demolition Plant, Asphalt Technical, Business Admin, Accountancy, Groundworkers, Site Engineer, Highways Maintenance and CIPS. We are very proud of our employees, especially our 30 Apprentices. As a business, we are keen to play our part in addressing youth unemployment and the skills shortage. The business is only as strong as its workforce, and we are delighted to be bridging the skills gap by supporting and encouraging our young people to train and forge ahead with a great career in the civil engineering and construction industry.